David Lewis, Dennis Rodgers & Michael Woolcock recently contributed a piece to the Guardian on Why dry academic journals are not the only source on development. 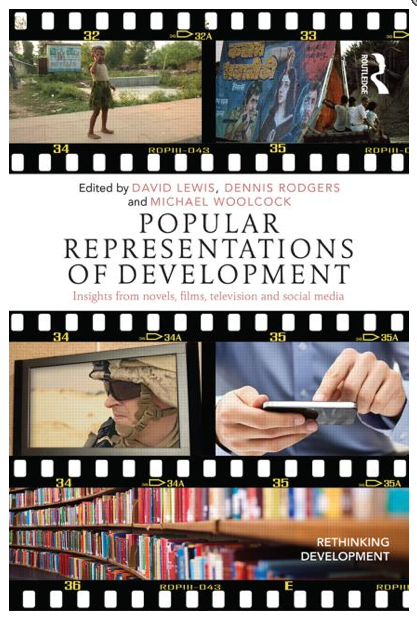 Their reflections are part of a larger project that has now been published in a great new book Popular Representations of Development-Insights from novels, films, television and social media. Together with my colleague Daniel E. Esser we contributed a chapter to the book on social media, Twitter and global policy summits, based on earlier work on the topic. Although the academic study of development is well established, as is also its policy implementation, less considered are the broader, more popular understandings of development that often shape agendas and priorities, particularly in representative democracies. 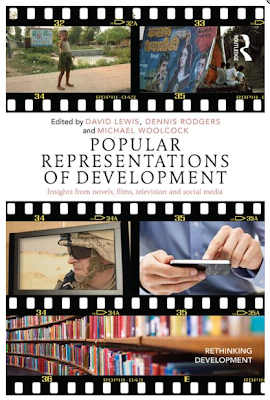 Through its accessible and provocative chapters, Popular Representations of Development introduces the idea that while the issue of ‘development’ – defined broadly as problems of poverty and social deprivation, and the various agencies and processes seeking to address these – is normally one that is discussed by social scientists and policy makers, it also has a wider ‘popular’ dimension. Development is something that can be understood through studying literature, films, and other non-conventional forms of representation. It is also a public issue, one that has historically been associated with musical movements such as Live Aid and increasingly features in newer media such as blogs and social networking. The book connects the effort to build a more holistic understanding of development issues with an exploration of the diverse public sphere in which popular engagement with development takes place. This collection highlights how if we look beyond conventional academic studies and policy reports - for example to films, posters, or fiction - then we may learn something new. For example, we may find forms of knowledge and representation that humanise development processes, or historicise our perspective in illuminating ways (p.12). So lots more to explore, research and write about - but also an invitation to browse through the book, critically review it and stay engaged in critically analysing popular representation of development as discourse, data and debate!